A Christmas party with a difference. 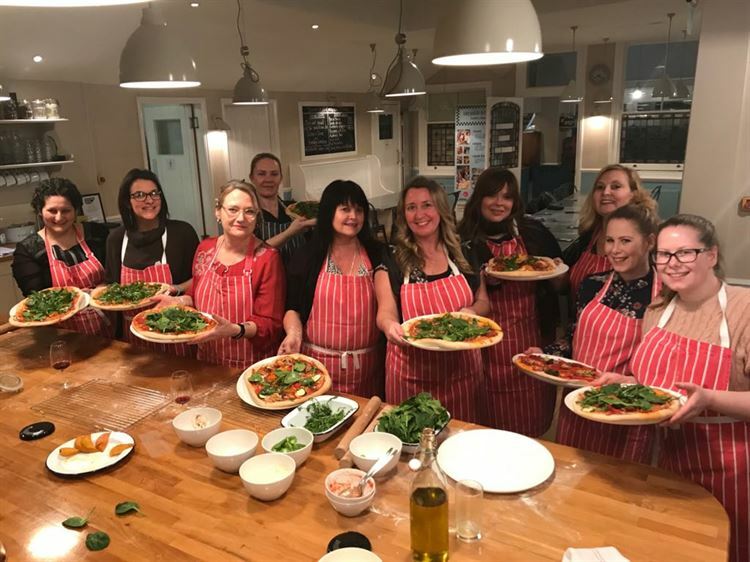 Get hands-on making Christmas pizzas – choose from toppings including turkey, stuffing, pigs in blankets, brussels, roast potatoes and roasted veg. We’ll guide you through the dough-making to get your pizza base ready and then you can really go for it with your topping choices! We will add a delicious dessert to make this a Christmas party to remember.